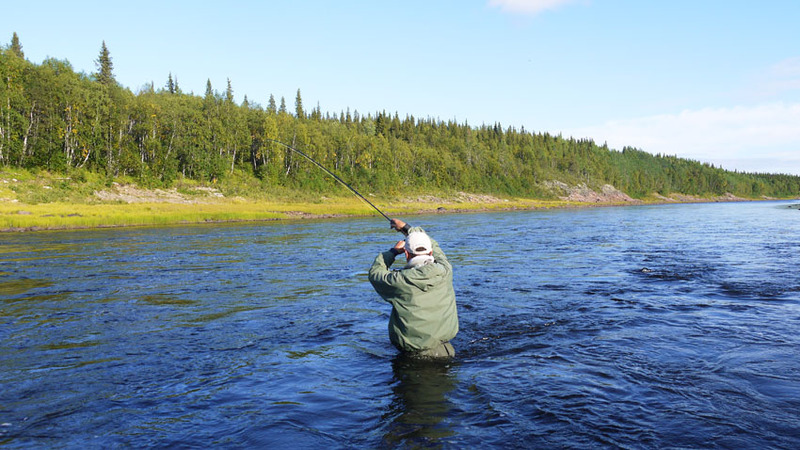 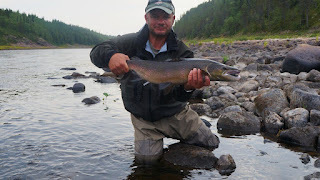 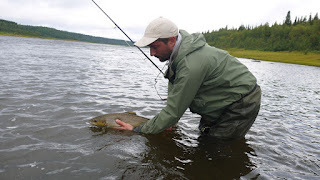 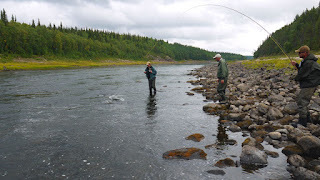 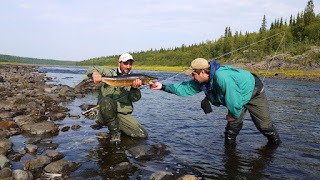 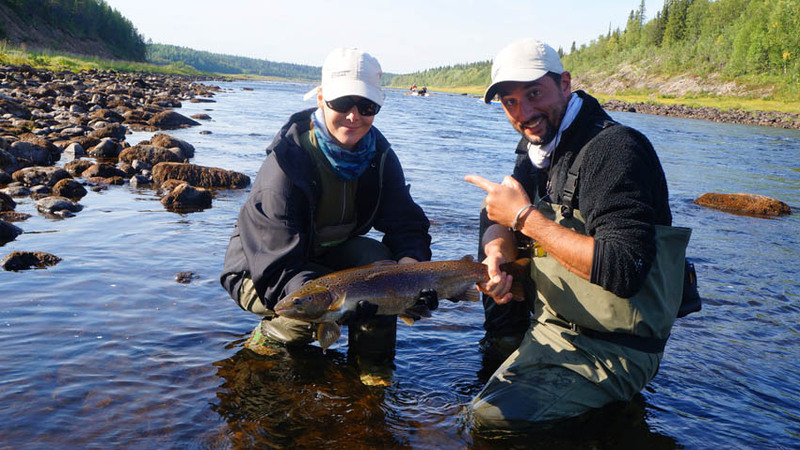 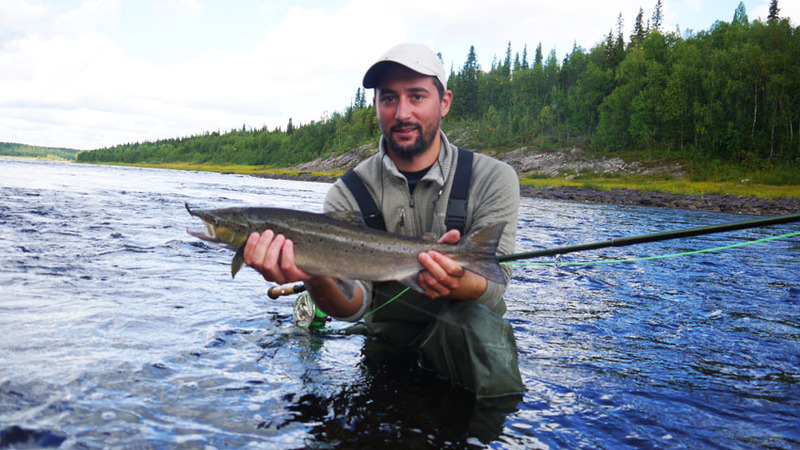 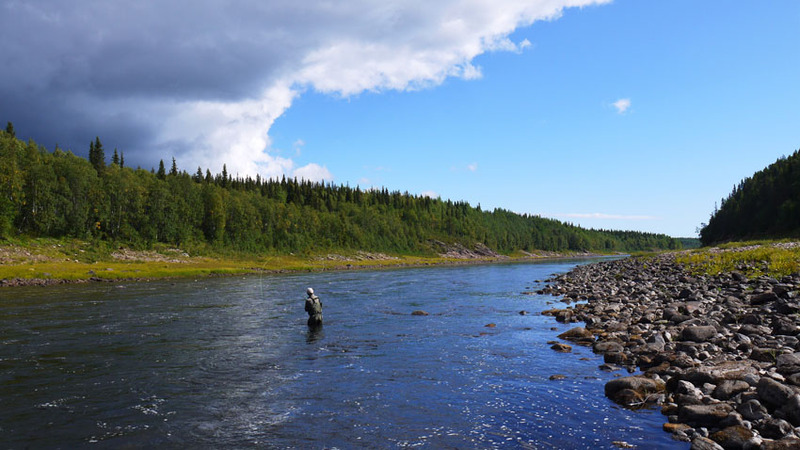 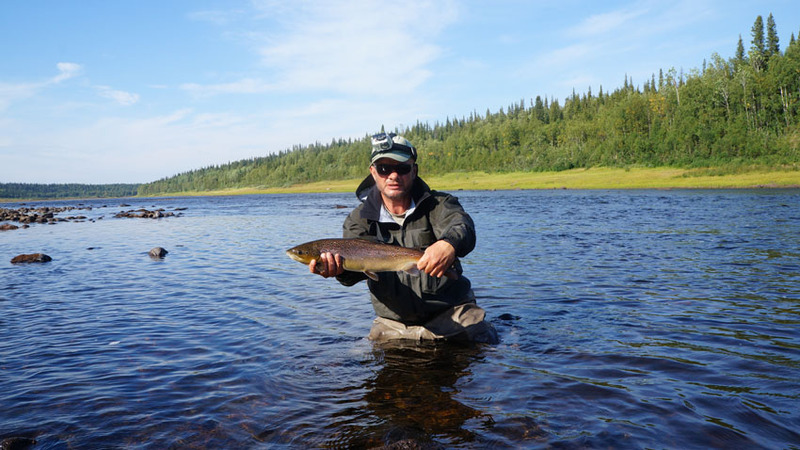 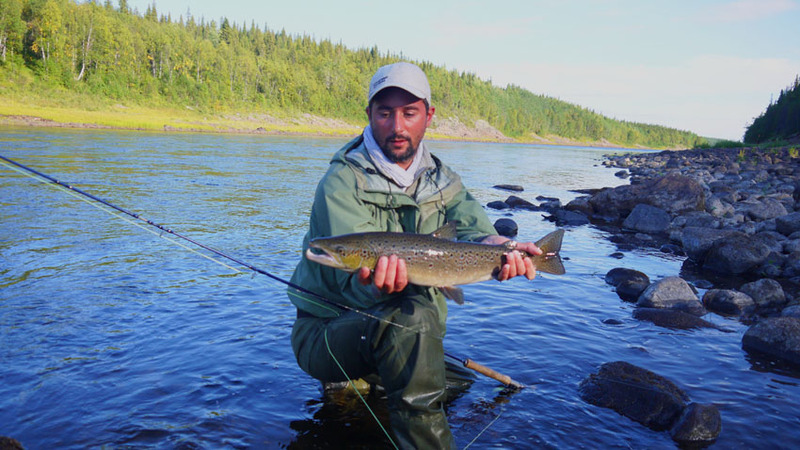 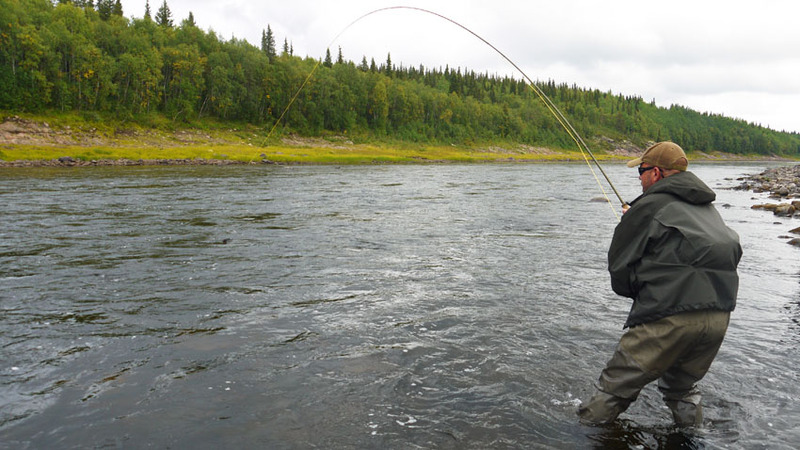 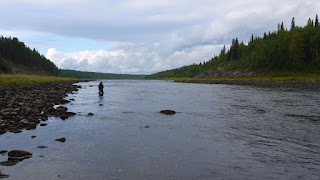 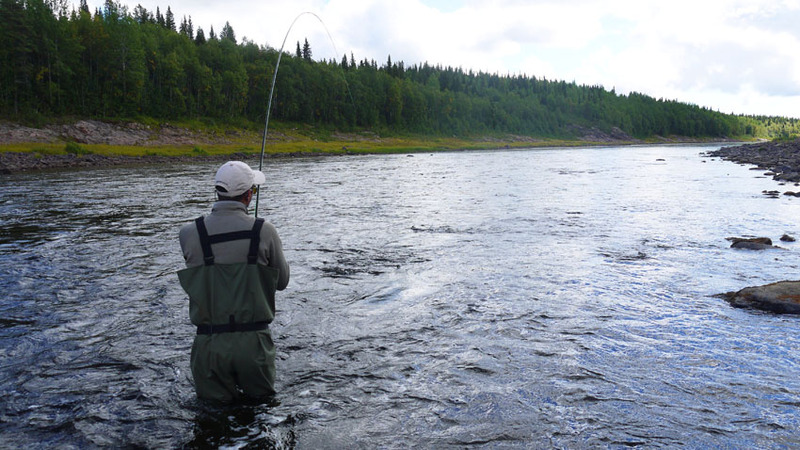 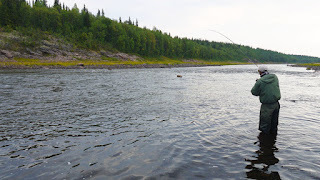 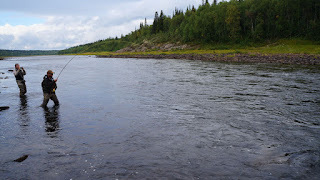 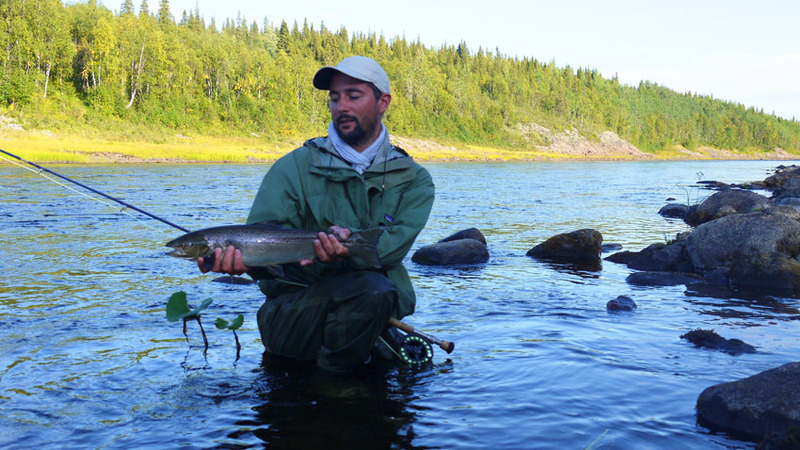 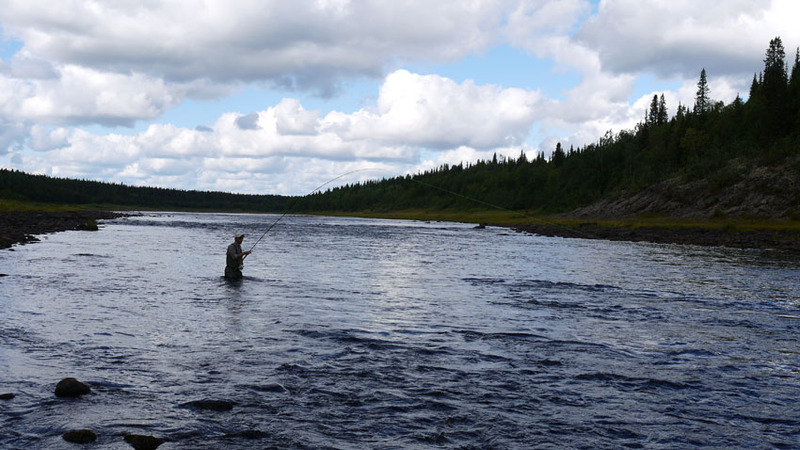 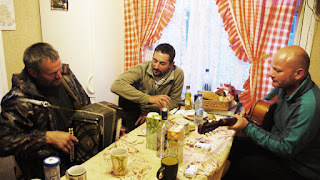 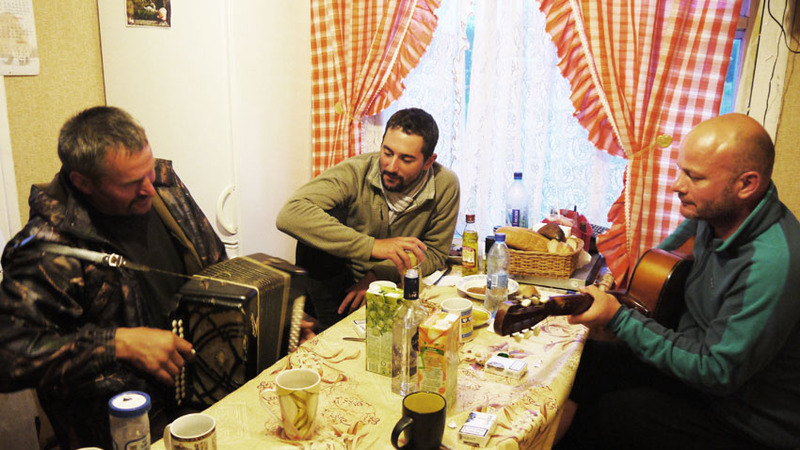 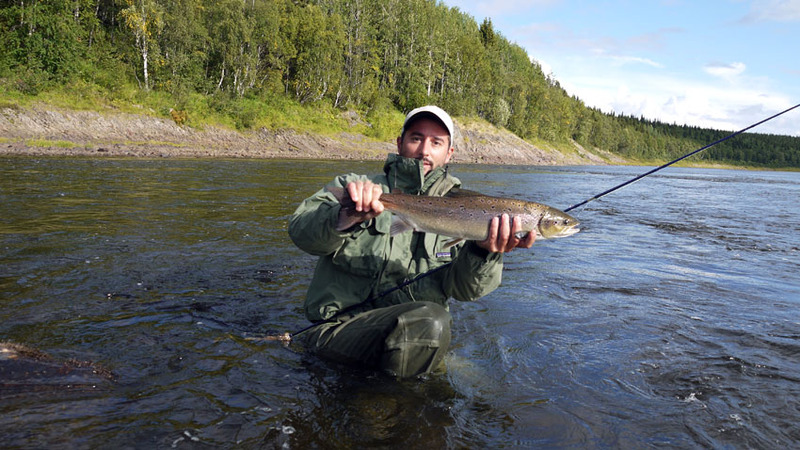 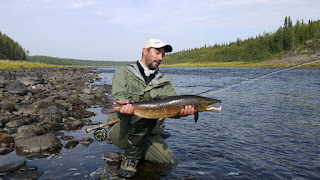 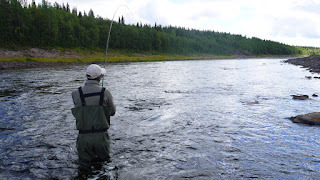 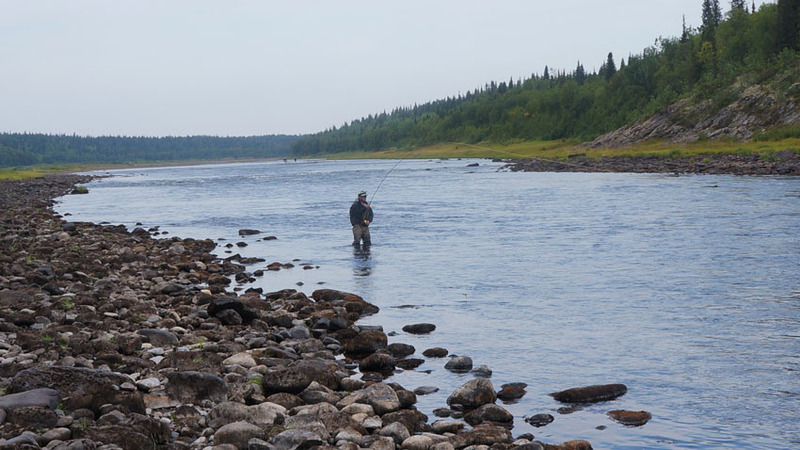 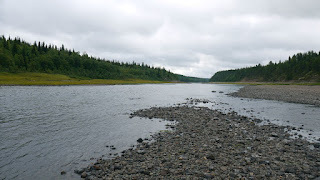 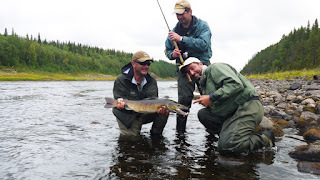 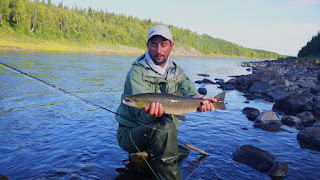 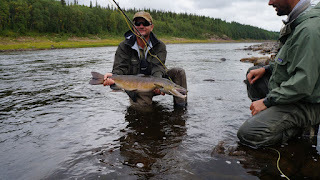 Chavanga Fish Blog: Varzuga river salmon fishing. 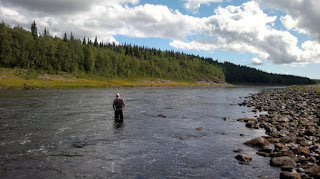 Mid August weeks. Varzuga river salmon fishing. 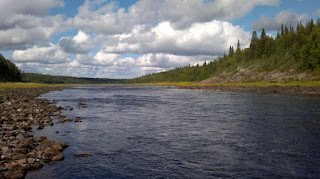 Mid August weeks. 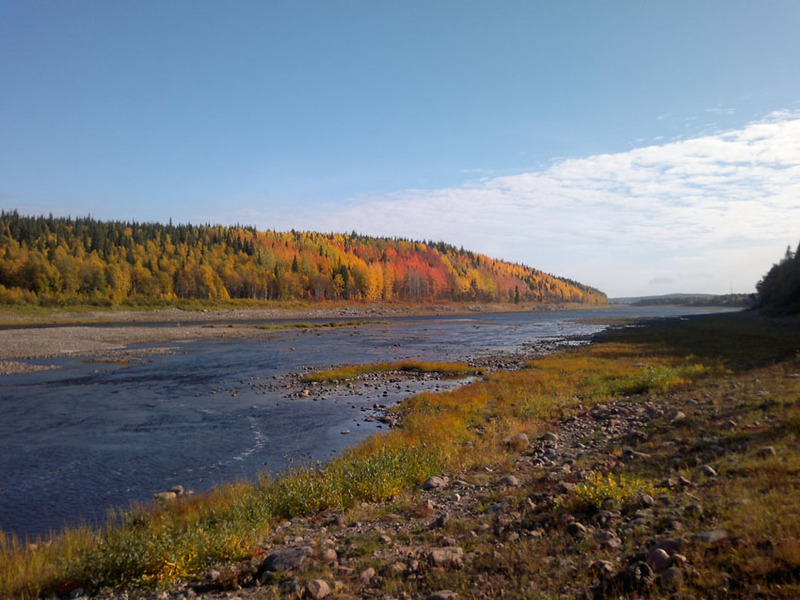 The middle of the season on the Kola peninsula was characterized by a dry and hot summer. Rain, which could change the water level in the rivers was not the end of May . 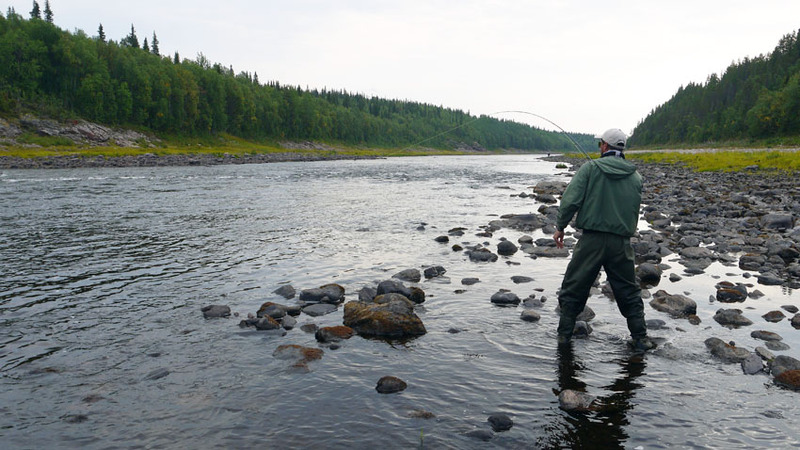 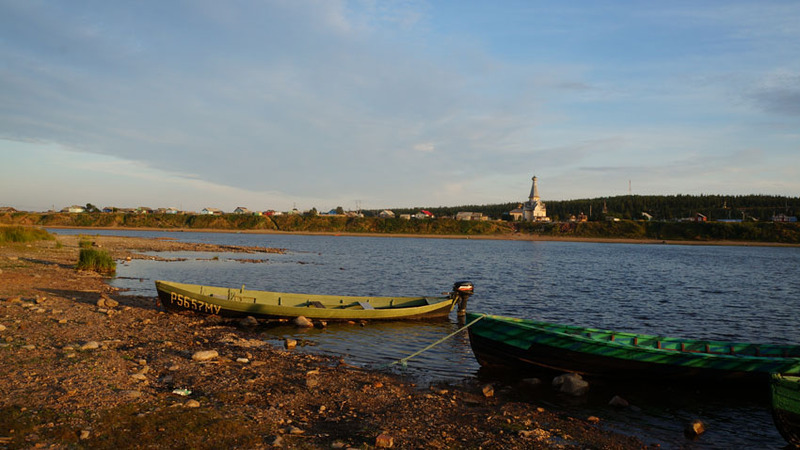 Therefore, from the beginning of June has been a steady decrease in the level of water in all the rivers of the Kola Peninsula. 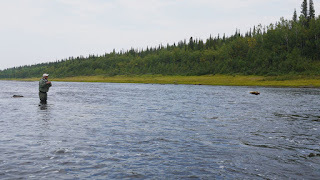 Virtually stopped the water flow in the river from the surrounding swamps. 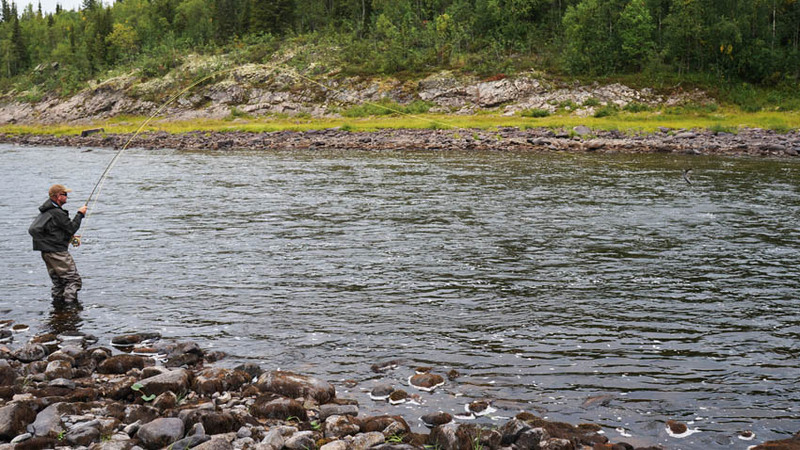 The water has lost its peculiar shade of tea and was extremely clean. 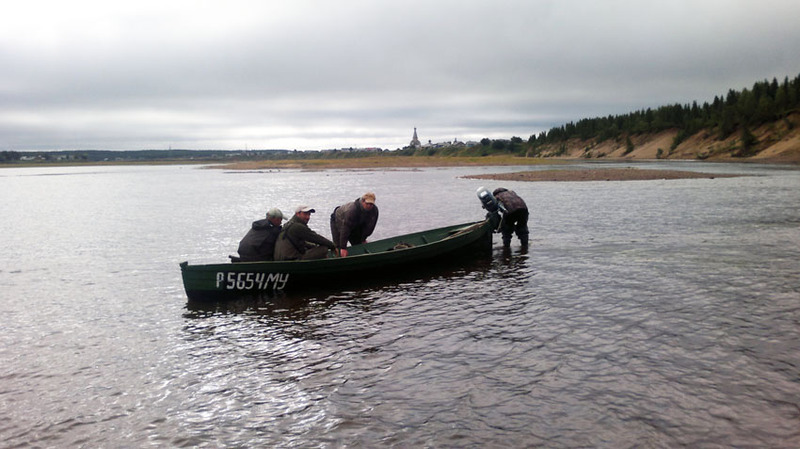 The water temperature in clear weather rose to the middle of the day to 20-23 degrees Celsius . 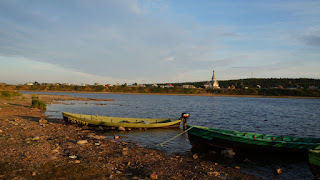 The lowest temperature was in the morning, at 6-7 am . 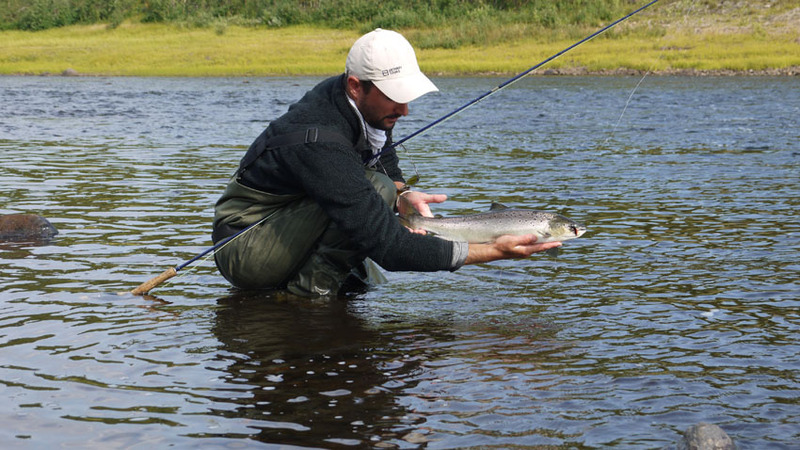 All this has led to the fact that very reluctantly raised salmon in the rivers of the sea. 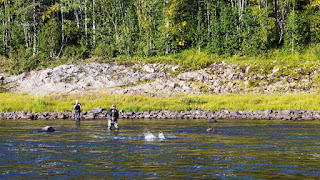 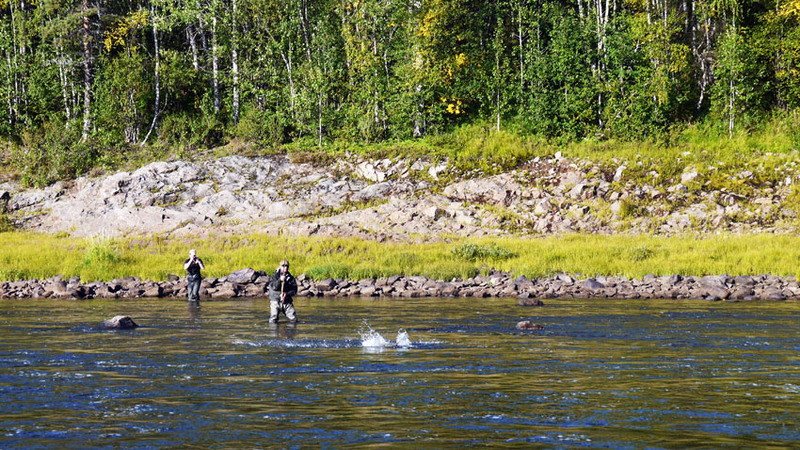 With the opening of the fall season salmon fishing on the river Varzuga seen jumping a few fish. 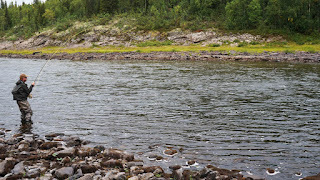 But the activity of fresh salmon was minimal. Resident fish on the contrary, were in good shape and were active during all hours of fishing. It is possible that this was caused by the high activity of relatively stable weather, which was established here for several months. Water , though warmed up to high temperatures , but it did not reduce the activity of salmon that entered the river in the fall or in the spring of this year. 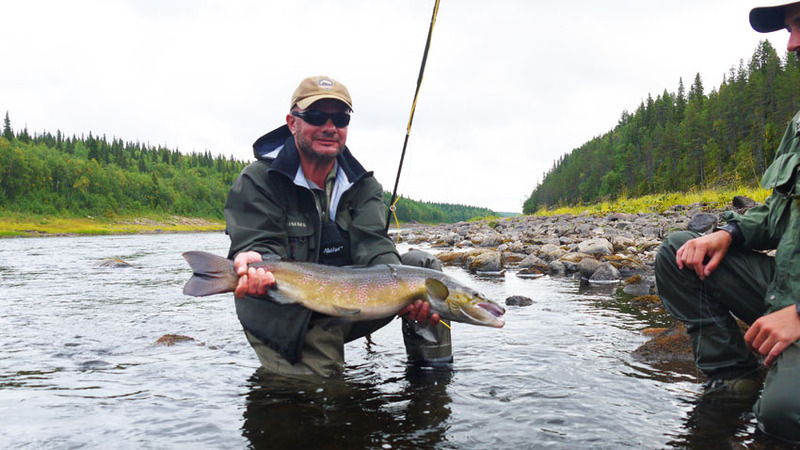 In mid-August was marked by the rise of major activity of male salmon. 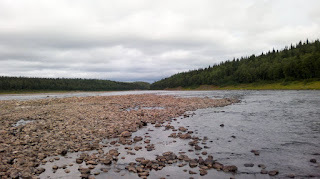 These losossi went into the river last fall . According to my observations , during June and July were more active males salmon medium and small sizes not exceeding 3 kg weight. 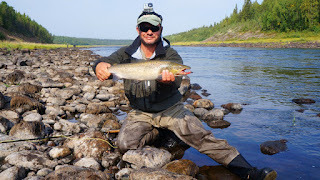 Now, however, often at gunpoint popadalit males and 84 cm in length and weighing up to 5 kg . 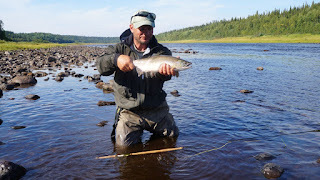 The usual array of summer flies designed to Chavan'ga was effective and Varzuga . 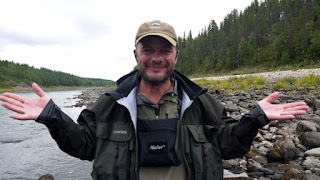 I want to thank our boat captain for the good work and great songs .